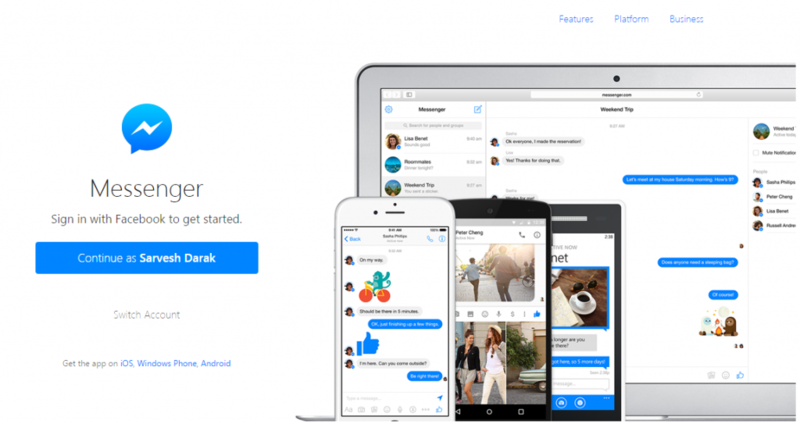 After trying forcing its smartphone and tablet users to use a standalone Messenger application, Facebook is moving towards the desktop, for the same reason. Facebook has started a dedicated standalone desktop application (browser based for the moment) available over messenger.com. The application is available free to use for Facebook users and it works just like its application. There are no new visuals or animations. Rather, it’s just a stretched version of the smartphone application, but, with no Chat Heads over here. 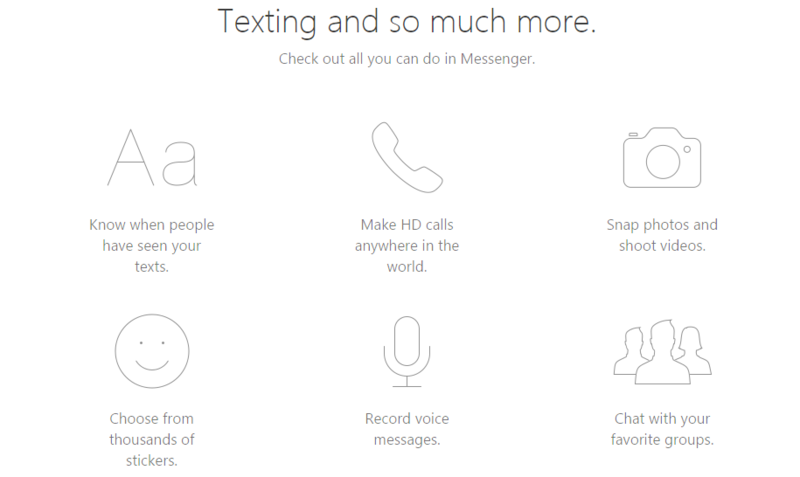 Just to stop you from thinking wrong, Facebook desktop website is still holding the messaging part in the right side corner as before and officials are in no mood for the moment to ditch that. That’s the main motive of this move from the social media giant. If you want to use just the messaging part then here is the platform for that. Go ahead and continue your conversations, without cluttering News Feed updates. Personally, I’ve been looking for the same tool when I was using Facebook (I deactivated my account to focus on my work, but don’t worry this review is genuine, thanks to Sarvesh), and News Feed Eradicator was life saver for that moment. That Chrome extension removes the News Feed and adds an automatically refreshing quote that tries to further motivate you to focus on work. But, it was only capable of removing the News Feed while all other features were still there. If you’re also experiencing similar dilemma, then this browser-based application can save you from deactivating the account completely. For the moment, you’re allowed to continue conversations with any Facebook friend in your network. You’re also allowed to share pictures, stickers, and emoticons. Facebook’s Thumbs Up is also there if you quickly want to like previous message. While smartphone application allows you to record and send voice messages and videos, this feature isn’t available in the Browser variant. Every data is kept synchronized all the time and that too instantly. Earlier if you were using Messenger on your smartphone or tablet then you must have experienced an annoying thing due to notifications. While using Facebook from its website and chatting with any of our friends, the smartphone application also rings notifications continuously. And it was very annoying. If you’re using this new browser-based application, then you won’t be getting notifications on your gadget while the previous annoying feature is still there. Thankfully, there is an option to turn on/off desktop notifications for the Messenger application. Just go to settings (clicking Setting Gear icon) and there you’ll find the related check box to either enable or disable the feature. You can even turn on/off sound alerts. 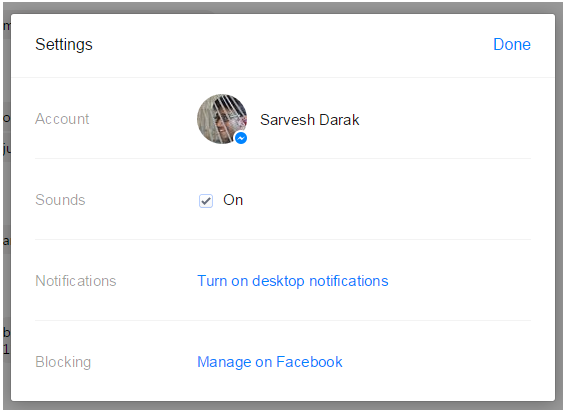 If you want to manage these settings on Facebook, then you got an option for that as well. Sounds impressive? Start using the application over here and experience it yourself. I’ll wait for your review in the discussion section. Peace.